Projects around the world . . .
We understand the latest in water based entertainment, current approaches to water science and research, and management and operations. Our clients can have confidence in our ability to deliver enticing attractions that are appealing as well as economically and environmentally appropriate. Take a look at our work over 25 years bringing people and water together around the world. 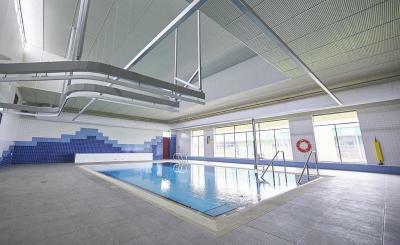 Oceanis recently designed the Byford Secondary College hydrotherapy pool and associated equipment. This is one of the largest single aquatic exhibits on the Taronga Zoo site for which Oceanis provided design, construction management and operations advisory services. 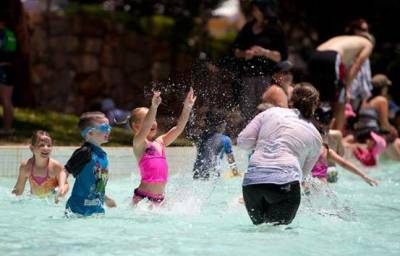 Oceanis designed all aquatic features and pools for this zero depth waterpark in South Hedland, Western Australia. Long awaited, the park's fun design and safe environment have become a great hit with local children and their families. 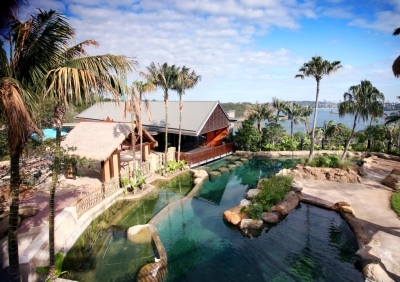 Oceanis provided design and project management services for Taronga Zoo's new Wild Asia Precinct. 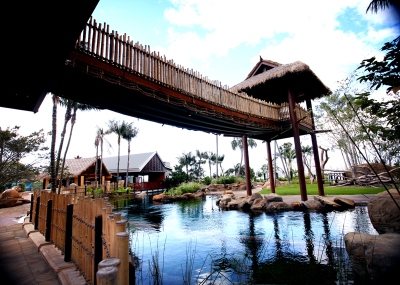 This specialty work was designed to support a wide range of animal exhibits including elephants, otters, tapir, fishing cats, binturong, langurs and mixed species of birds. Oceanis prepared the concept for this major new aquarium, including outdoor components, integrated within a large retail and commercial development for one of the largest developers in Korea. 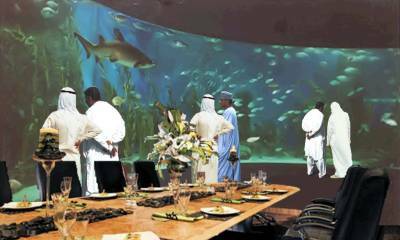 The aquarium is a marketing focus for the World Tower site, as a complement to the large amount of retail and other leisure outlets as well as a stand-alone revenue generator. Oceanis designed this new children’s waterpark interaction pool. 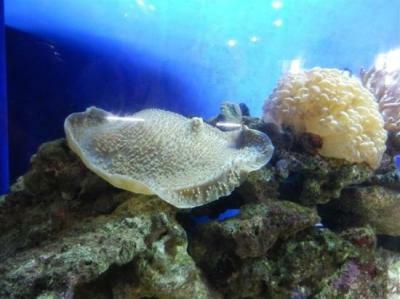 The exhibit is complete with surge devices, geysers, jets natural rockwork and artificial exhibitry such as kelp and sea creatures. Oceanis designed and provided construction management services for the leisure facilities for these prestigious residential towers. Oceanis participated in the re-design of the seawater intake systems and life support systems for this combined laboratory and education project. This project includes numerous terrestrial and aquatic animal exhibits including fresh water and marine aquaria and marine mammal pools. The overall project includes resort style accommodation, retail outlets and extensive food & beverage facilities which are integrated amongst the entertainment exhibits. 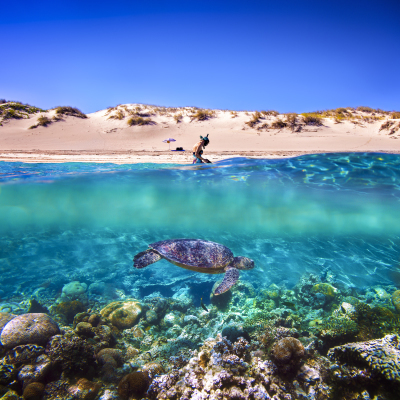 Oceanis is currently assisting the client with finishing the Ningaloo Centre Aquarium as a show piece for the Ningaloo Reef Marine Park and Visitor Centre. Oceanis was part of the team responsible for design of this facility, which included pools and water features. Oceanis developed the business case, feasibility study, site review, and schematic design for this $80 million project to rejuvenate the marine research facilities at James Cook University - renowned for its leading edge marine research and education. 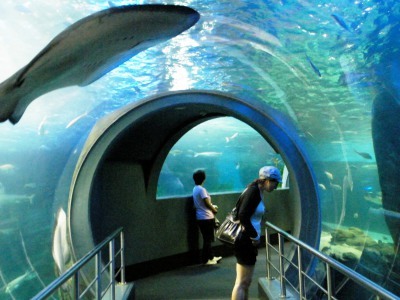 Oceanis has been involved with a number of aquarium projects throughout China, including Pacific Underwater World, part of the CCTV tower complex in Beijing. 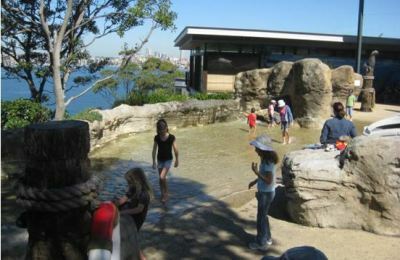 This project was one of a number of Taronga Zoos's refurbishments with an overall budget of $250 million. Oceanis provided design and project management services for the Great Southern Oceans precinct which includes large fresh water aquariums and pools, and exhibitry. The precinct includes penguins, leopard seals, otters, and fish. 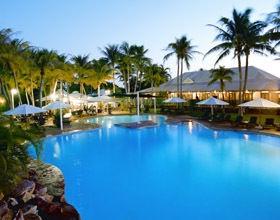 Oceanis designed and managed construction of all the pools and water features for the resort. Oceanis has worked with an international team to provide design services to this new city encompassing significant residential and retail development as well as leisure and entertainment spaces comprised of theme parks, aquariums, zoological facilities and a waterpark. Oceanis conducted concept design on this large scale project containing extensive artificial lagoons and exhibits. 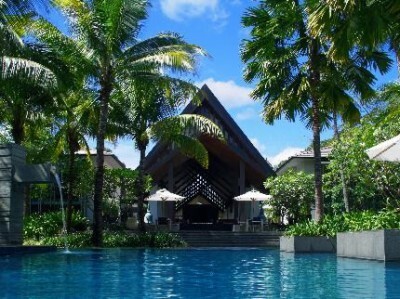 Oceanis designed water features and pools and engineering service systems for this luxury resort. The park contains numerous recreation facilities designed and managed by Oceanis staff. 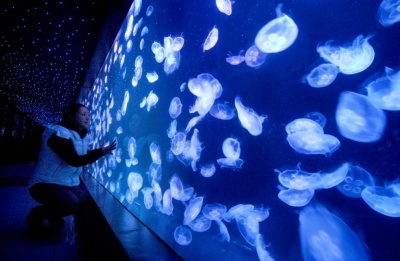 Oceanis provided design, engineering, project management and commissioning services for this large scale aquarium project - one of the first of a wave of modern aquariums constructed in China in the last 20 years. This project and our other more recent Chinese projects have allowed us to participate in the modernisation of China and bringing leisure, entertainment and educational facilities to the country. 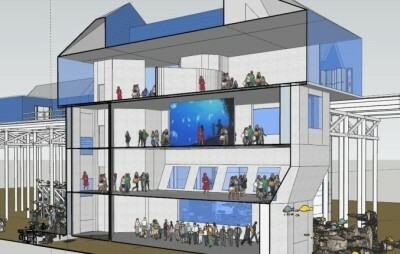 Oceanis provided initial design concept services for this project. 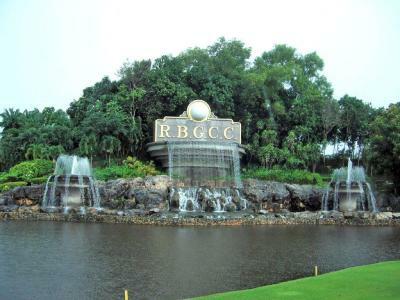 This $220 million dollar project encompasses 5.5 km2 of land and lagoon/canal area including large aquaria and water features – the central feature of a new park to service an entire new city. Oceanis prepared the preliminary design for the water related aspects of this project featuring over 60 different canals, water features, pools and aquaria. In Hong Kong Oceanis worked in conjunction with PGAV from the US and Aedas from Hong Kong on this project budgeted at $HK800 million, part of the $HK5.5 billion overall upgrading project for the Ocean Park site. 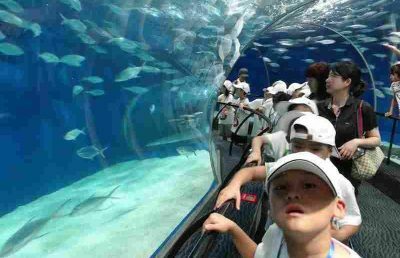 The project opened in 2011 to great acclaim and has allowed Ocean Park to achieve record attendances. 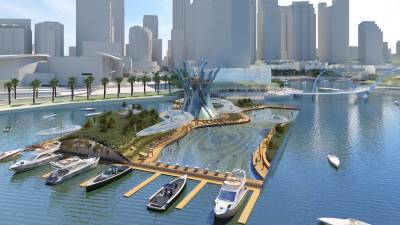 Oceanis staff conducted the design of aquarium specialty works for this $36 million project. Extending the development to capitalise on retail and food & beverage opportunities was a major focus of the project Our operations team managed this site for many years. Oceanis has completed the aquarium concept design phase for this proposed $65 million facility containing a 1,300 m3 water volume, $25 million exhibit intended to illustrate the southern Australian coastal waters including a giant kelp forest and the area known as the “shipwreck coast”. Comprising aquariums and numerous large, open water lagoons and pools for dolphins, false killer whales and sea lions, Oceanis has provided design services for many aspects of the staged development of this expansive marine park. 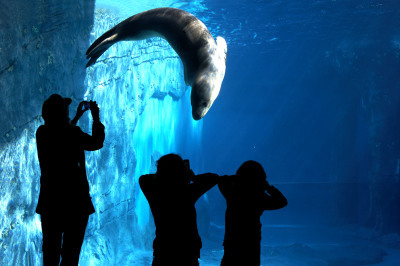 Our most recent work has been the design of new holding and show facilities for sea lions, and additional aquarium development. Oceanis provided site analysis and financial feasibility consultancy services for a new aquarium development in Cairo. Oceanis has worked with the developer and local architects to re-plan public and private pool facilities, water features and fish ponds at this well-known holiday destination. Oceanis provided design and construction management services for this unique underwater observatory illustrating one of the most southern natural occurrences of soft corals in Australia, as well as many other local marine species. There was a dream in 1987 to create an underwater observatory at the end of the Busselton Jetty. 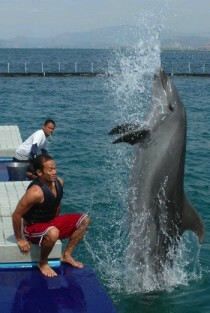 Oceanis was part of the team that brought that dream to reality. In 2017 we again joined with Busselton Jetty Inc as they took their dream to its next stage. Working closely with their management and our curatorial specialists, we created a new and exciting concept that now underpins the Busselton Observatory 10 year strategic plan. With the potential to attract many visitors from the large numbers of tourists that already visit the region, our client wanted us to design a world-class tourism destination that would take advantage of the beautiful adjacent coral reef. The site review, business case development and final ‘Destination’ concept created by Oceanis will support over one million annual visitors centered on a family entertainment pier and marine park. 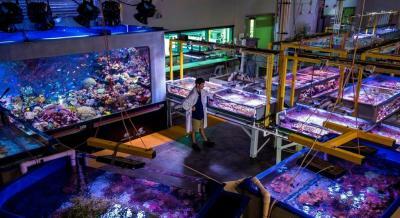 Acclaimed as 'the smartest aquarium in the world' Oceanis designed and managed construction of the institute's new $35 million SeaSimulator research centre. Including intricate seawater intakes, aquariums, coral life support, membrane filtration, thermal control and reverse osmosis brine management, Oceanis modelled the entire building and its systems in 3D BIM technology. Among the most stunning accommodations in Riyadh, Al Faisaliah Hotel boasts impeccable facilities, including a range of stunning pools and water features. 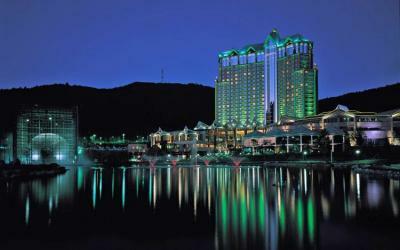 Oceanis assisted the client with all aquatics aspects of the hotel spa, pool and water features around the hotel site. Founded in 1858, Hale School is the oldest boys’ school in Western Australia. 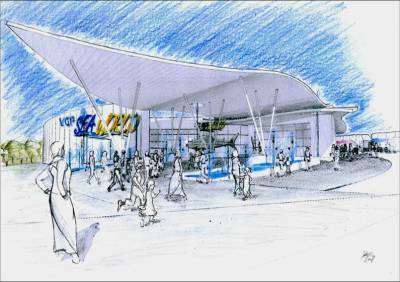 With a strong sporting pedigree Hale sought to add a state of the art aquatics centre that would match its outstanding sporting heritage. 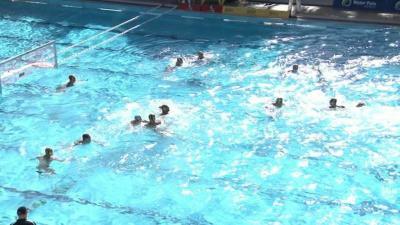 Oceanis provided design and construction management services for this multi-use lap and water polo pool. Working within a Design and Construction contract structure, Oceanis designed and provided construction management services for a new lap pool and leisure pool complete with various water features. 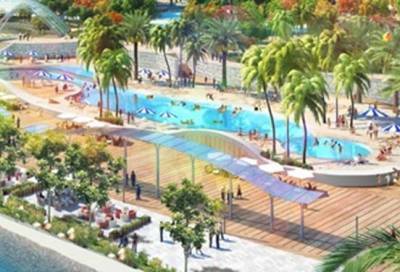 Oceanis has designed this world-class tourist attraction as an integrated aquatic park. With a design philosophy of water and nature, the plan for the 70,000 m2 site includes 15,000 m2 of pools, waterways, lakes and canals integrated with retail, accommodation and waterfront promenade. 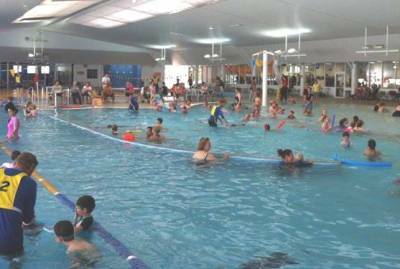 Oceanis designed and managed construction of the new pools for Craigie Leisure Centre, including an indoor lap pool, programme pool and children’s shallow leisure pool. Oceanis is currently managing a major refurbishment of this facility. 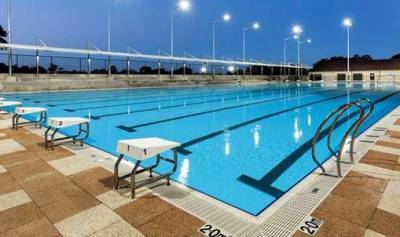 Oceanis designed all new aquatic specialty works for this facility. With the aim of leveraging the value of Perth’s iconic Swan River, Oceanis collaborated with a group of developers, architects and planners to create an ambitious design for a facility featuring a swimming pool/lagoon filled with filtered river water, public open space and venues for events and exhibitions. Designed as a fusion of the urban environment with the natural environment, the concept’s focus is on experiencing nature in the city and diversifying Western Australia’s tourism offering.